Monotronic is in the studio working on their debut album and will be released in the spring. Spring/Summer tour dates announced shortly. "the best new electronic dance band of New York this year." Monotronic is a collection of musicians based in New York City that blend a wide array of genres and styles to produce a unique sound of their own. The band was founded in 2016 by acclaimed guitarist Ramsey Elkholy, who is also the band's leader and primary song writer. Other personnel include Adam Ahuja on keyboard and vocals, Devin Collins on drums and live electronics, and Alex Hayes on bass guitar and vocals. Their sound can best be described as a mix of electronic music with strong world music influences. Monotronic has been featured in several music publications, and has performed at many prestigious venues and festivals. Conceived by guitarist/anthropologist Ramsey Elkholy, Monotronic started in 2016 as a loose collective of New York City musicians. Their sound is a combination of electronic music with a wide range of cultural influences. The band draws influence from Elkholy's travels throughout Southeast Asia, and his time spent in Calcutta studying Indian classical music. Elkholy received his PhD from the University of Manchester in the UK; and spent nearly two years in the rainforests of Sumatra, Indonesia conducting research among the Orang Rimba tribe. He has published a book entitled "Being and Becoming", an anthropological account of his time spent living among the Orang Rimba tribe. Elkholy cites living in this "collective" or "tribal" mode of life, where the group is valued over the individual, as a core inspiration behind the music of Monotronic. He describes Monotronic as "a concept, whereby each instrument can be heard as a continuation of the other and the music sounds as one distinct whole, emanating from a single source". Monotronic has played in venues such as The Knitting Factory, Bowery Electric, Nectar's, 8x10, Arlene's Grocery, Garcia’s at The Capitol Theatre, Rockwood Music Hall, Pianos and the Bitter End. They have also performed at outdoor music festivals such as Disc Jam and Meeting of the Minds. Elkholy was born in the suburbs of New York City and raised in an academic family. His mother was an opera singer and graduate from the Franz Liszt Academy of Music in Budapest. She exposed him to a wide variety of music at an early age, but he only began to study music seriously years later as a student at the University of Oregon, where he studied Anthropology and jazz guitar. His primary influences are rooted in jazz and other improvisational forms of music such as the Grateful Dead. His guitar influences include Jerry Garcia, Carlos Santana, Steve Kimock, Django Reinhardt and Charlie Christian. His broader musical influences include jazz musicians such as John Coltrane, Miles Davis and Charlie Parker, as well as Indian classical musicians such as Ali Akbar Khan, Ravi Shankar and Indraneel Battacharya. Ahuja is a New York City based keyboardist and multi-instrumentalist. He has performed original music at venues such as the Blue Note Jazz Club and has also toured regionally and internationally with acts such as The Flowdown, Robert Randolph & the Family Band, and the Ana Popovic Band. Ahuja is sponsored by Nord, which is the keyboard he plays in Monotronic. Hayes is a bassist, vocalist, and composer who has toured the U.S., Europe, and the Caribbean with a variety of artists and has studied under some of the world's most renowned instrumentalists, including Victor Wooten, Edgar Meyer, Steve Bailey, Chuck Rainey and Bela Fleck. Hayes was a part of "Never Sleep Alone," a critically-acclaimed Music Comedy show at The Public Theatre. 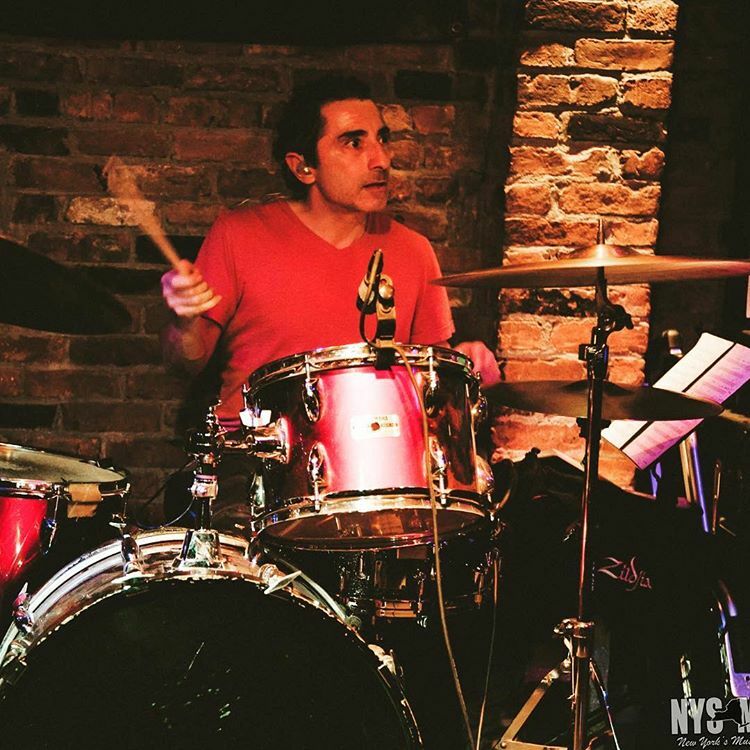 An international recording and performing Artist, Collins started studying music in middle school when he was 11 years and old quickly gravitated toward percussion. Collins studied at The Berklee College of Music from 2005-2009, graduating with a B.A in music performance. He has performed with a wide range of groups across different musical genres including The Karma Exchange, r.O.T.i, LoveSkills, Elliot Moss, K-Russia, Manami Morita, Sarpay Ozcagatay, Felix Pastorius, Reverend Kim Lesley, and Killa Theory Live.